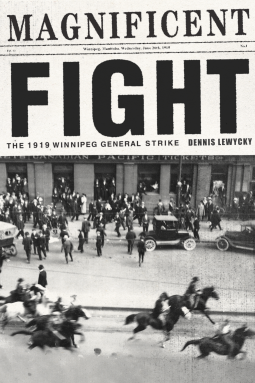 Lewycky's well-researched walk-through of the 1919 General Winnipeg Strike was a very interesting and enlightening read. As an American, I don't ever recall hearing about the strike in school, or even in college. Books like this one, with its facts and figures supported and "made real" through photographs are important ventures into the past, that will hopefully help change the future. There have been many worker strikes around the world that led to direct social and cultural change, and this one deserves to be remembered. I highly recommend this book to anyone who is interested in labor economics, labor unions, strikes, social history, or cultural revolutions. Thank you NetGalley and Fernwood Publishing for the opportunity to read this advance reader copy.